LEGISLATIVE UPDATE: LOPP-CA was site host for a California Interfaith Power & Light Advocacy Day, supporting bills to set stronger goals for renewable electrical energy (SB 100), protect California’s coastline should the federal government seek to expand offshore oil drilling, and establish goals for carbon reduction from ride-sharing companies like Uber and Lyft. LOPP-CA also offered brief testimony in the Senate Elections Committee supporting stronger sponsor and funding disclosure in social media ads for ballot measures. NOVEMBER BALLOT: California voters will decide on 12 measures, three placed on the ballot by the Legislature and nine that reached via the initiative petition process. Our priority continues to be the housing bond, cahahousing.org (Programs and Initiative). 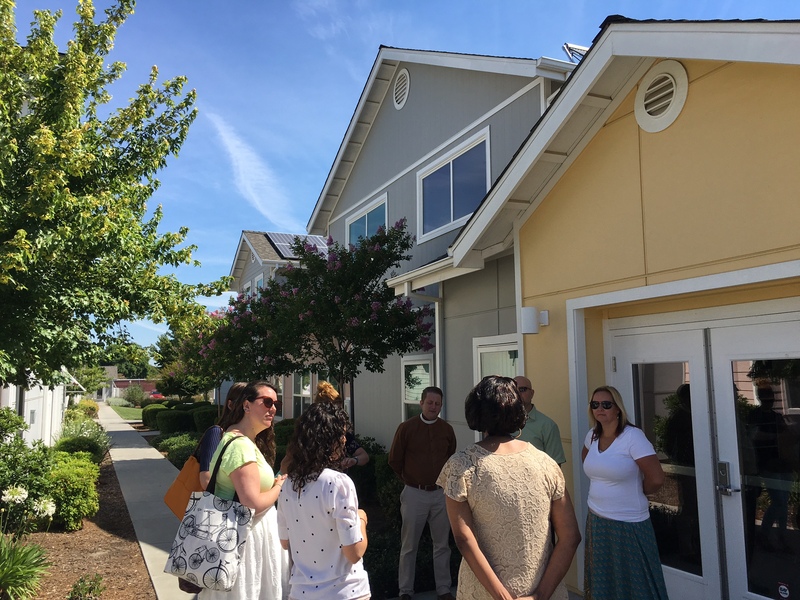 Carlson hosted the June conference of ELCA rostered leaders gathering at a permanent supportive housing site where Lutheran Social Services of Northern California provides services (photo). Previous PostPrevious ELCA Advocacy, Washington D.C. JULY 21, PRAY. FAST. ACT.